I've been saving up to buy a boat. i have about around 10k to spend. 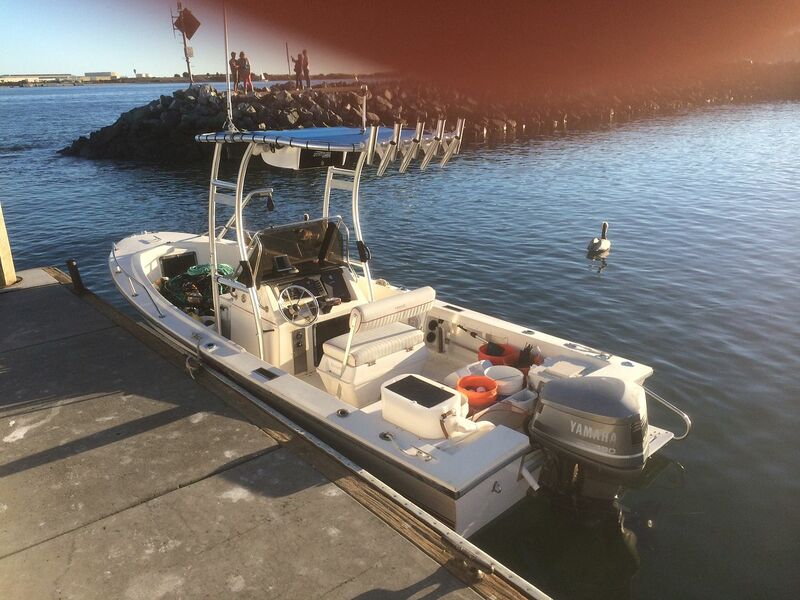 i need help with what to look for when buying a diving boat. i really like this one i found on craigslist but i dont have a list of questions i should be asking that are important. any help is appreciated. can i get some opinons about this boat as a dive boat? If it's your first boat, I would start off with a simple boat (easy to maintain and troubleshoot). Inboard is pretty simple to maintain assuming access is good, but the outdrives can be a pain (or so I've heard). If I were to buy an older boat, I would buy a name brand boat, so that I could hopefully resell it without taking too much of a bath. Do a lot of research on the older reputable brands in your area and then stick to those brands. You also want a brand with a bit of a following so you can get help if there are issues from the message forums. Same goes for motors if you end up with a boat with an outboard. In my area (Florida), inboards (especially an I/O) are not very sought after, and generally speaking center consoles with outboards are the most desirable (for trailerable boats anyway). If you see any dark brown gue coming out of holes or fasteners in the hull (transom for instance), those areas are wet and starting to rot. Any large stress cracks or fiberglass/gelcoat repairs? Do all of the lights, bilge pumps, switches, electronics work? Original Fuel tank? Original fuel lines? Any major repairs to the power head or the lower unit? Recent service? if yes, what did the service include and how many hours have been put on the boat since? What year is the trailer? Are the tires in good shape (good tread, no dry rot or cracking)? Does the trailer have brakes? Are all of the lights in working condition? Are the axles, hubs, bearings, bunks, etc in good shape? Pretty big for a first boat. I'm not sure how much it weighs (probably in the 10,000- 15,000 lb. range loaded), but I would make sure you have a suitable towing vehicle. The list above is a good one. I would add that you should make sure you test drive it, including launching and retrieving the boat. Take someone with you that knows boats, preferably as similar a boat as possible. Second choice would be someone who knows engines. 1. It's big for a first boat, and will present some launching, cruising, and loading challenges, especially for an inexperienced captain. 2. It's old. Not there's anything wrong with old (Hell, I turned 70 this year! ), but problems come with age and this boat will have problems, just like all boats. The price is at your budget limit, which leaves no money for problems you find after the sale. 3. The configuration will be expensive. There's a reason new boats are mounting outboards. A marine inboard is fairly easy to work on, if it's accessible, but the transmissions and outdrives are not, and they are very expensive to have work done on them. There are lots of places to have work done on outboards. Marine transmissions and outdrives- not so much. 4. It appears to be a single engine. If so you are going to be offshore in the Pacific with a 40 year old engine with no back up. My advice would be to look for a 22-24 foot center console with twin outboards. Look for the newest engines you can afford. Usually, the perfect scenario is an older boat that had been repowered, then wasn't used much, was used in fresh water only, and now is for sale. You might not find the perfect boat, but that's the target. They are out there, so be patient. Good luck- let us know how the search goes. Wood guy has good points that I forgot. Normally you would get thehull surveyed and the motor inspected. Survey might not be worth it if the price is just for the motor/trailer and the transom seems solid. Always do a sea trial. If the seller won't see trial the boat... Walk away. For an outboard you can check the transom by raising the motor and standing on the cavitation plate and bouncing up and down a little. If the transom flexes... It's soft. You can also knock on the transom and listen for differences in sound. If you detect sound differences, it's likely soft. Also look for screw holes... The more holes the more chance for water intrusion. If there are soft spots in the deck, you've got rot or delamination. The deck should be rock solid... No spongey feeling. Bring a screwdriver. Try to lightly tighten a few screws here and there... Especially on the transom... If the screws spin freely you've got rot. Every screw Is a potential area for water intrusion.. I would be hesitant to buy anything with stress cracks below the water line... Especially if there is anything oozing out of those areas. If you go with outboards... Yamaha ox-66 2 strokes have a cult like following due to their reliability. First, you need a tow vehicle. Big boats need big trucks. Don't think that your mid sized SUV is going to do the job because it won't. Next, you need a place to park it. You're golden if you have room at home. Otherwise you'll be paying for storage and that will be roughly $150+/month. Insurance. You'll need hull insurance which is around $3-400 year and you'll need Vessel Assist which is around $150/year. AAA with the RV endorsement is a good idea because they will help you if one of your trailer hubs fails on the road. Plan on going through the engine and trailer once you buy it. Tear down the wheel hubs, clean and inspect the bearings. Check the bunks for rub areas that can damage your hull. Make sure your trailer isn't corroded. Drop the lower unit and replace the water impeller unless the PO can show you a receipt for a recent service. Change the lower gear oil and be aware of any milky color which shows that water is mixing with the oil. If so, investigate why. Pull the prop and get it serviced. Reinstall. Bends and dings are repairable. The hub can fail leaving you stuck offshore so make sure it's good. For $10K you should be able to find a 19-20 foot center console. I sold my 20 foot Proline CC w/ T-top and Yamaha 130 on a good trailer about 2 years ago for around $8K. Run it until its warm. Turn it off for about 20-30 mins, and start it again. This will check for ethanol issues. This can cause the engine to heat soak and can boil the fuel, and cause vapor lock. Also this makes sure that it really starts more then once. Bring it up to WOT (wide open throttle), and monitor RPMs. Bring back to Idle, and repeat a couple of times to make sure the engine really will perform. Pull sparkplugs (before, and after sea trial), they tell a really good story. Compression tests can tell if all cylinders are running well, and similar. 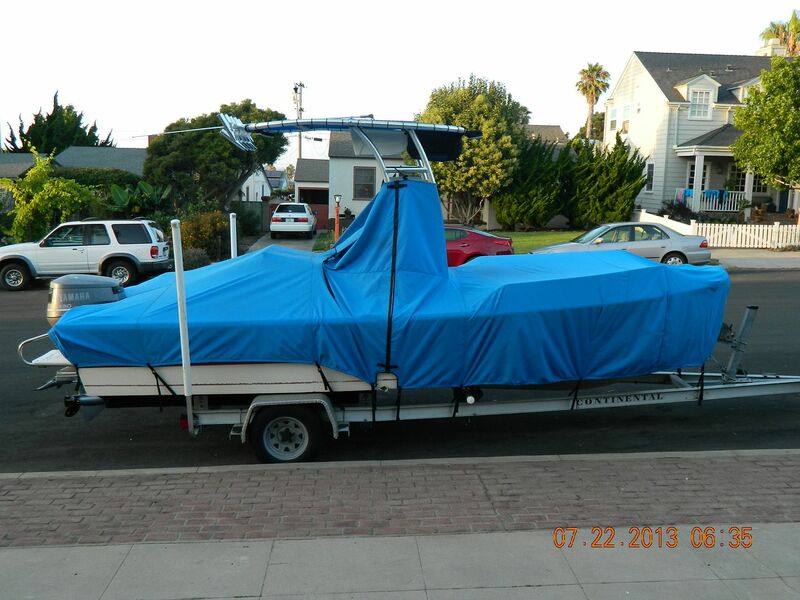 When you buy a boat you will find the questions you forgot to ask, and see what the boat, and previous owner are hiding. Boats always have 3 (maybe only 2) problems. The problems you know about, the problems you will fix later, and the problems that you don't know about. Location: La Jolla, Colonet, B.C. Buy your second boat first. . Boat truly does mean Break Out Another Thousand, no matter how solid. Good points above, I'd just re-emphasize asking about age of fuel tank, and especially inspect the fuel sending unit. Depending on where the tank is located it can be anywhere from a total pain to almost impossible to change out. I hate IO's. Buy either a straight inboard boat or a four stroke outboard. Your budget for repairs of an old boat should exceed to initial cost.